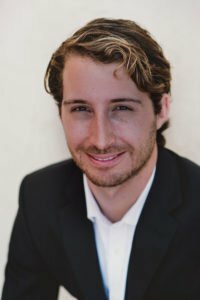 Alex Wender is the CEO and founder of San Diego Medicare Plans. Every day, he works with clients all over the San Diego, helping them understand their Medicare options, and ensuring they are receiving the best service, pricing, and resources. There is a right Medicare plan for each person, and his goal is to match each client with their plan, at the best price. By exploring ALL of your options, you can be certain you have made the right choice for yourself. Alex is committed to providing the best service possible: he is easy to get in touch with, responsive and will maintain a relationship with you throughout the year. With each client, Alex holds annual reviews to ensure they are satisfied with their plans and maintain the most competitive rates. He works with all the carriers and plan types in San Diego. Alex grew up in Newport, Rhode Island and attended the University of Rhode Island, where he graduated with a B.S. in business management. Alex moved to San Diego, CA with the intent of pursuing my passions – entrepreneurship and surfing. He has a passion for the outdoors and family, and he has a soft spot for Golden Retrievers.